What’s The Ocean Rider Club? The Ocean Rider Club was originally the name given to the Yahoo Forums, later called Groups. This provided a central place to communicate for people that had the same interests (ie seahorses, aquariums, care, conservation, and so on). We encouraged people to join and in doing so, provided a nominal discount to "members" who purchased items on line at our web site. With the advent of our newly rebuilt web site, we will be encourage those that have been using the Yahoo Groups to begin using our integrated message board forums. The two forums will be run side by side for a period of time. 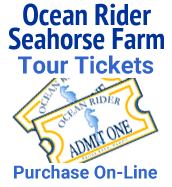 Members of our Ocean Rider Club are provided shopping discounts and other benefits that fluctuate from time to time. There are advantages.